At Shannon Family Automotive, we work to award you the highest level of quality work and customer service. 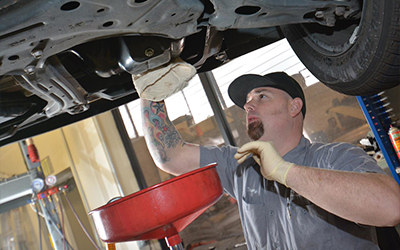 Our Honda auto repair shop in Folsom, CA is licensed to complete all kinds of maintenance and performance testing except what is covered under your existing warranty. If you would like to schedule a service with us today but don’t feel like waiting at the shop for your car to be finished, not a problem! Our shop provides a free shuttle service for the Folsom/ Orangevale / El Dorado Hills areas! If you or your family will only be waiting a few minutes, feel free to fill up on our complimentary coffee, tea, or cold water! Visit our website today for a full list of services we offer. Or, stop by our shop today to speak with a member of our staff.